I snapped this picture when the package arrived, but I haven’t had time to get more/better pictures. It’s so frustrating when I let being a good employee, husband, father, and coach get in the way of the website. Maybe “good” is too much. “Giving it his best effort” is probably more accurate. I was really excited when I saw first pointed out this lot. The price was hard to swallow, but I really wanted a better look at that sticker. 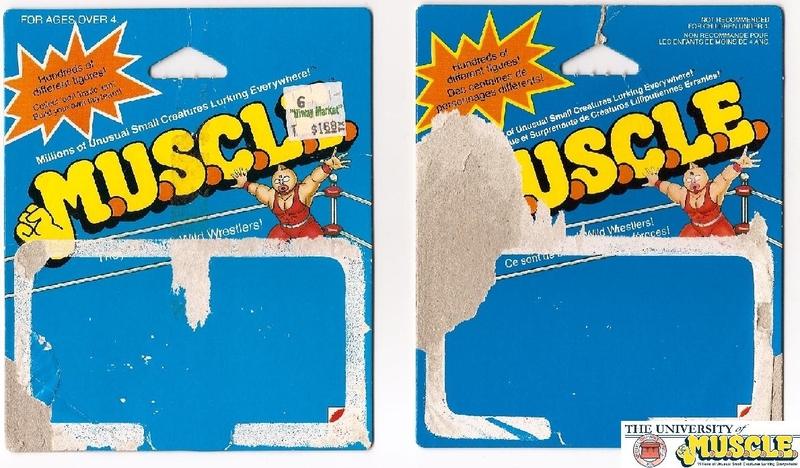 My best guess is that these 4-packs hit Canada before the art was finished for the bilingual card. I genuinely love wrinkles like this still being discovered – especially since it’s not something we could predict. It’s not even something we would want to predict. It’s just this wonderful little oddity. For me, it’s more fun than discovering a new figure. That usually leads to chaos, high prices, and drama. This discover doesn’t have any of that mess. The sticker is just interesting. 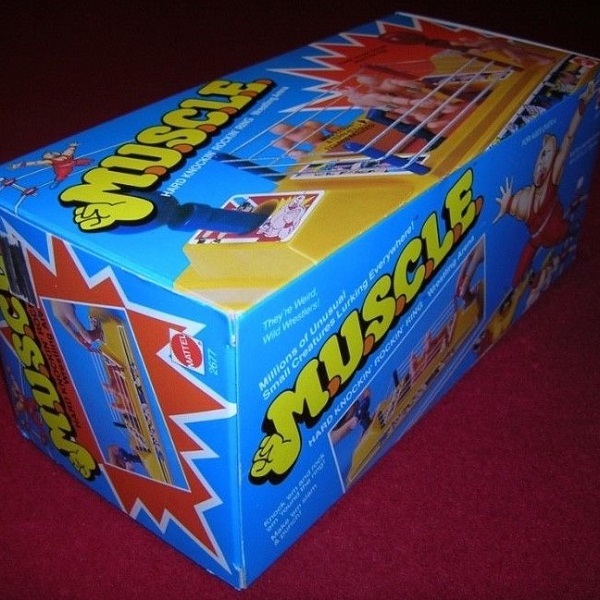 And it’s probably only interesting to the most passionate M.U.S.C.L.E. fans. Sure, after I die, my kids might want some small token of my collection. They certainly don’t want all of it. And, hopefully far in the future, there won’t be many senior citizens looking to pay top dollar for a mountain of 28-packs. I don’t think it is a question I will answer today, but it’s a fair one. – I will never understand buying the entire set. – Wait. He’s selling two sets? – “All figures are marked like the last three photos.” What a weird sentence. – “It was well loved and shows.” Not what you want to read with that stupid price tag. – Is there anything besides the Class A Purple #41 figure? I didn’t feel like looking. – If I needed a ring, then this might be my choice – even if the price is a bit high. 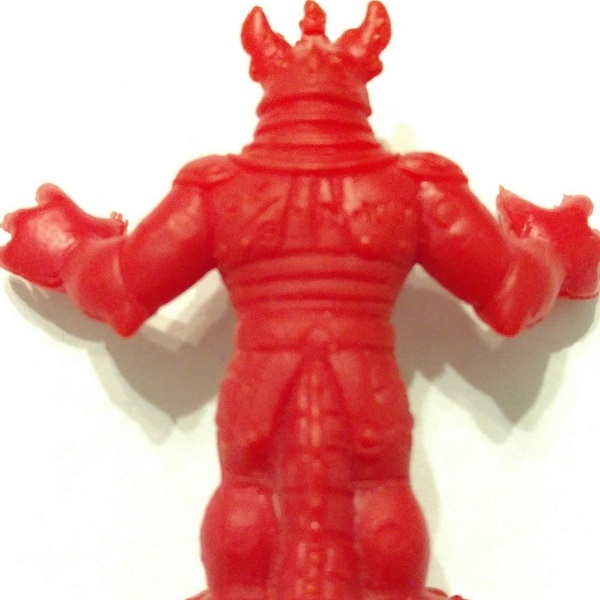 – Keshi experts what is this figure? I love it! – Do you think the artist that did this art also did this? 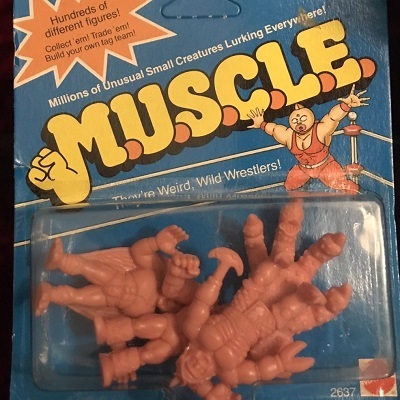 – Do you think the bidder is hoping that figure is a real M.U.S.C.L.E. figure? 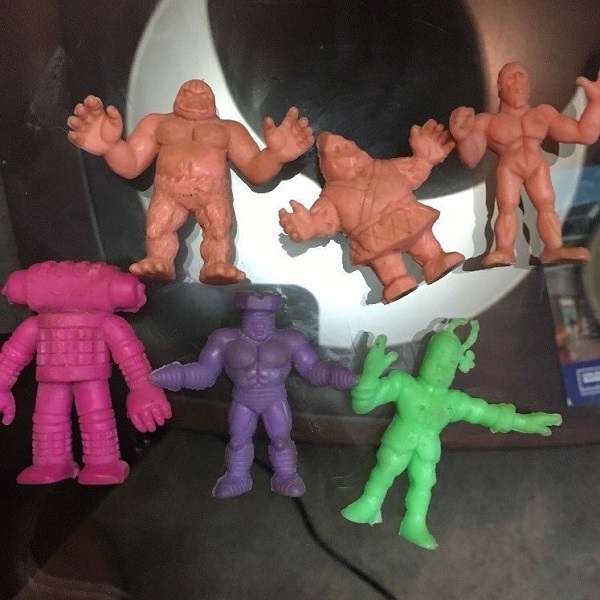 – “They’ve been sitting in a Ziploc bag for around 30 years and moved around from house to house, so it’s time for them to go.” That sounds shockingly honest. Hell, I could probably say the same thing. – This is exactly the kind of lot that should start at $0.99. – At that price, just reach out to Eric. – Love that $0.29 price tag! But they know what their stuff is worth. They can’t give it away because they need the money. I never imagine a well-adjusted adult realizing that collecting toys is stupid. What was more surprising last week: (1) the large margin of victory; or (2) that #4 was the only other vote-getter? My heart wants to say the margin of victory, but my brain is saying #4’s single vote. The Empty Box has to be considered the favorite when the Battle of the Champions winners face-off. I’m expecting quite a contest between those four elite winners. Would it be unsporting to have a “Classics” week? Listings like the $388.88 #167 figure, the $25.99 warped #15 figure, or the $140 incomplete, loose belt. I wouldn’t want to miss a listing either. It might be more work than it is worth. What do you guys think? Before and “Classic” bracket can be built, we need to focus on this week’s combatants. The AOTW #1 has six, mundane, dirty figures with a $25 opening bid. That is a $4.17 per figure lot. The AOTW #2 is an empty can and three counterfeit figures. 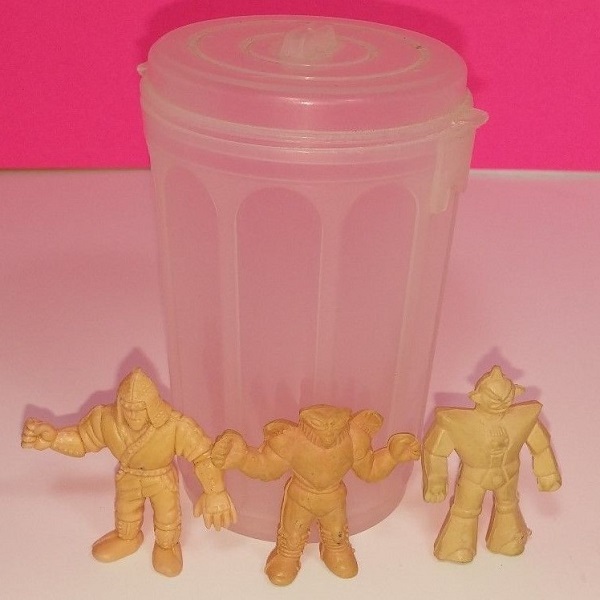 One figure is a counterfeit #228 figure and the other two are Future Strength figures. Those details do not justify the $59.99 BIN. What more can be said about the AOTW #3? 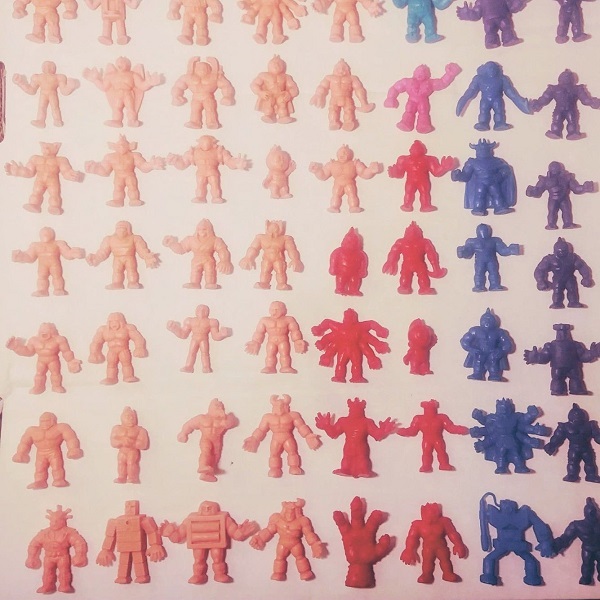 It is a lot of 59 figures with a $500 BIN. That is a $8.47 per figure lot. Finally the AOTW #4 is one figure. It has a $50 BIN. That is a $50 per figure lot. 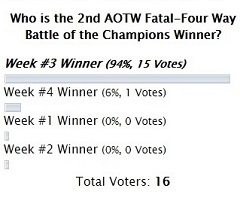 Who is the Winner of the 8/17 Fatal-Four Way? I wanted to end with this gif for three reasons. One, it’s funny. I hope it made you laugh too. Two, it is a total brother move. If I had a penny for each time one of my boys messed with the other for no reason, then I would have 3,313 pennies. And three, it represents how my weeks sometimes fall apart. They start ok, then BAM! Blindsided by the unexpected. Hopefully you made it through the week without being blindsided. This entry was posted on Friday, August 17th, 2018 and is filed under UofM News. You can follow any responses to this entry through RSS 2.0. You can skip to the end and leave a response. Pinging is currently not allowed. The four pack you found is an amazing find. Hot Wheels arena has a lot of craziness. There are collectors in the Facebook page I follow who have 50,000+ Hot Wheels and storage rooms with numerous Rubbermaid containers full of Hot Wheels.